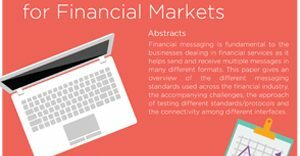 End-to-end digital testing services for meeting critical demands of the FinTech ecosystem. Money, related administrations organizations, contend in a worldwide business condition in which speed and separation must be accomplished while always driving expenses down. Advertise shifts, innovative advancements, and expanding administrative and speculator examination are influencing the income development and working efficiencies of budgetary administrations industry. To perform productively in this ceaselessly tricky aggressive condition, money related establishments need to progressively outfit new advancements to give unrivaled quality administrations and client offerings. TGGTECH has chipped away at the most advanced Order Management Systems joined with Smart Order Routers and mind boggling Execution Management Systems. The SMEs have seen different sorts of business sectors beginning from the pro determined frameworks, to the totally mysterious and mechanized frameworks. Our area mastery spreads over all the money related instruments beginning from value, subsidiaries, products, monetary forms, and so on. TGGTECH has additionally taken a shot at the business standard stages/applications from driving innovation sellers crosswise over Front, Middle, and Back Office. End-to-end application testing across the entire value chain from back-office to front-office. Helping clients in complying with regulatory requirements like those of MIFID II, RegNMS, and SEC / SEBI rules that have a redefining impact on the business model of the clients. Performance Testing, Failover and Recovery Testing, and Enabling Client certifications such as Fix certifications are some other areas where TGGTECH has significant expertise and experience. Latency has been a buzz word in the Trading space, and TGGTECH pioneers in offering solutions to monitor latency and availability of Financial Services applications. Financial services space is a cosmos of third party applications interlaced into several home grown applications that span across the entire functional spectrum. TGGTECH offers time tested integration testing methodologies that ensure the workflows spread across these multi variate products operate seamlessly. TGGTECH offers test automation services on various technology stacks and tools to achieve a much higher automation levels of complex applications. It offers several predefined frameworks that can readily be deployed. TGGTECH has experience of testing applications across the functional spectrum of Capital Markets, ranging from Order Management and Execution Management to Market Data Systems. TGGTECH is associated as testing partner with clients deploying cutting edge technology from leading Fintech vendors. TGGTECH with its repertoire of proprietary tools, reusable artefacts and automation framework can positively impact your time to market significantly. With its in-depth domain understanding, TGGTECH assures a consistently pleasant user-experience to your customers across all channels. With the best practices that are imbibed, TGGTECH can ensure your cosmos of applications works seamlessly as a single enterprise, through effective integration. TGGTECH supports devoted Domain Competency Groups which focus on the preparation and improvement of assets inside these spaces, and towards testing complex ongoing applications. TGGTECH's capital market activities are driven by area and innovation specialists and sponsored by a group of high-bore experts. TGGTECH assets are knowledgeable about QA and testing administrations of different monetary market applications, including trade exchanging applications, arrange administration frameworks, execution administration frameworks, dull pool applications, hazard administration applications, back office frameworks and outsider merchant applications. TGGTECH, with its acclaimed involvement in the Financial Services space, has all around tried devices and quickening agents that can emphatically affect the exertion included and an opportunity to market for its clients. 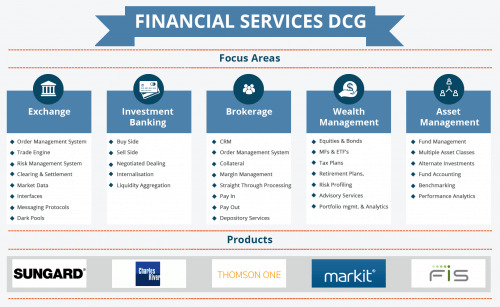 TGGTECH's Financial Services DCG has designed Delimit-Ex, a one-stage answer for decode and read complicated money related documents, for example, EFT and ABA. Delimit-Ex decreases the torment required in deciphering the budgetary records via naturally decoding the documents and sending out them inhumanly meaningful configuration. This lessens the testing time by almost 40%, leaving the analyzer to simply concentrate on discovering surrenders, and not stress over perusing the files. 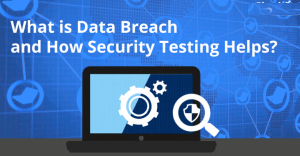 The apparatus is additionally figured out to make test documents in different organizations and is installed with fundamental auto approval capabilities. 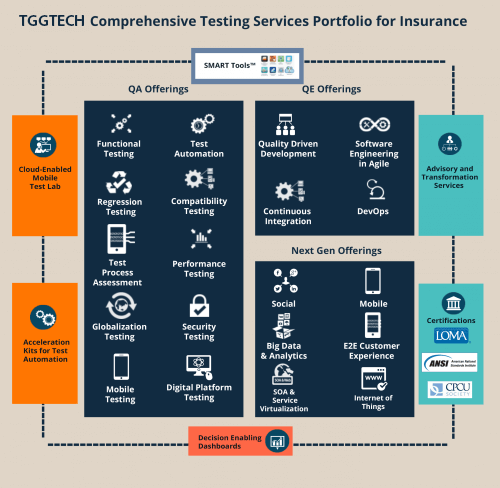 TGGTECH has utilized on its broad experience of testing front line Financial Services applications and has turned out with a nonspecific prepared to-utilize Test Repository involving test situations for crucial standard business streams, bringing about high reusability and fast move. 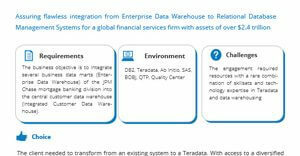 This will empower analyzers to kick off their testing on new activities of a comparative kind. We right now have around 3000 experiments incorporating different Capital Market modules like Order Management, Execution Management, Clearing and Settlement and Risk Management. TGGTECH's Test Automation Framework (CTAF) is an instrument skeptic system and can be utilized over different applications/cell phones with insignificant re-work. TGGTECH is likewise in association with HP and has conveyed QA Automation answers for more than 30+ fulfilled keeping money clients. This structure is reusable and particular (25% diminished endeavors), and empowers to kick off Test occasions (30% sooner), convey speedier arrangements and acknowledge more prominent ROI. The system is genius coordinated with CI instruments, for example, Jenkins. TGGTECH, a Global Leader in Independent Testing Services, has conveyed efficiently testing administrations for more than 15 years, executing its Test Center of Excellence, sending Managed Testing Services, and giving end-to-end testing administrations for driving saving money organizations crosswise over geologies. Our customer tributes and acknowledgment by driving industry examiners stand observer to our consistent quality and capabilities. TGG Tech was willing and able to listen to our needs and provide us with an excellent solution. Thanks guys..
We been working with TGGTECH and they’ve been able to adapt those processes to fit our team as well as the Freeman culture.